Fantastic day on the ice with family. 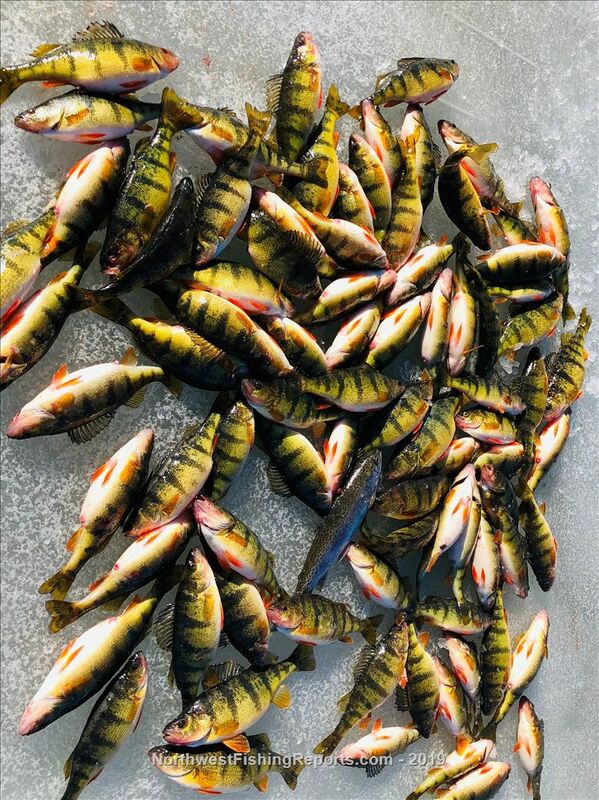 We fished till around noon and put 100 jumbo perch on the ice. Went back out after lunch and added another 100 to the pile. Fishing was non stop action. We had clear sky’s and about 30 degrees . Fished in 45’ of water just a few cranks off the bottom. Silver cast masters tipped with perch eyeballs . Heading back out today for about 6 hours. View other reports from Spokanetoot. Damn that’s awesome a three hour might be worth it . Good job! How thick was your ice on that end? What area of the lake did you fish? Oops. Just noticed the hot spot map. Thanks for the report. Looks like a blast! We rented a cabin at Tiffany’s Resort. and fished near by. I truly believe it doesn’t matter where you are at or can access from. As long as you find 35’to 45’l of water. We were in 45’ Almost any lie would work. We just went with the cast masters to get down quicker. A lot quicker. As soon as it hit bottom we were hooked up. We realest another 50 caught 20 rainbows that we tossed back in. Saw you guys out there. :) What an epic perch beat-down weekend! So good! It was tough to drag ourselves off of the ice yesterday to go clean the fish that we had, but we had to get back for work today. We finished up the weekend with a cooler full of perch fillets and raw fingers from processing them all. It really doesn't get any better! Yes I agree. 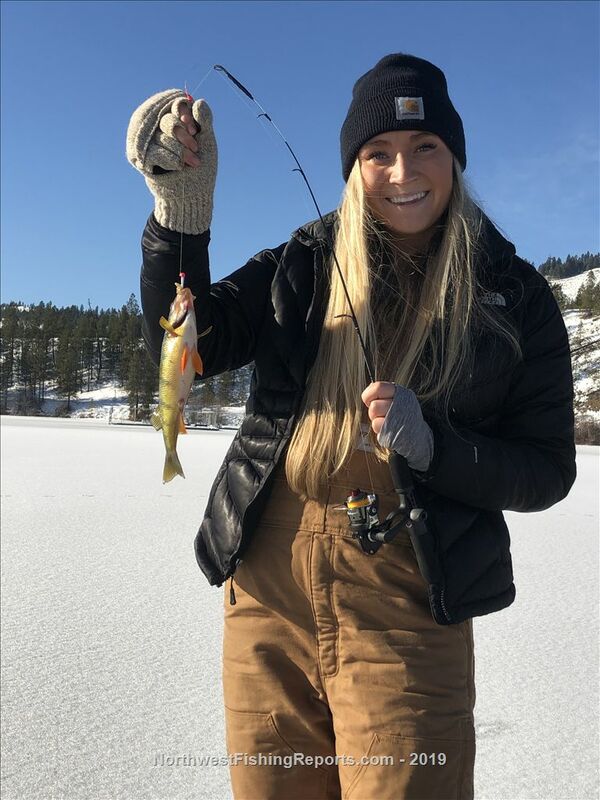 It was very cool seeing everyone slinging fish on the ice. I’m gonna try one more shot at it than back to Roosevelt for the walleye. No walleye yet for me. No cabin on the pontoon and the weather is still a bit cold. Looking forward to getting out there soon though! Yove got some great eats there...yum!